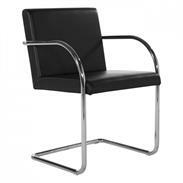 In 1929 Swiss Architect Le Corbusier and his team of designers presented a revolutionary collection of furniture that stunned the city. 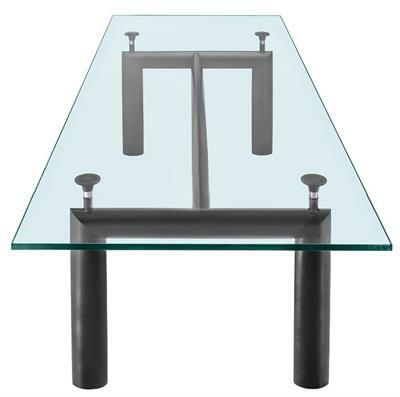 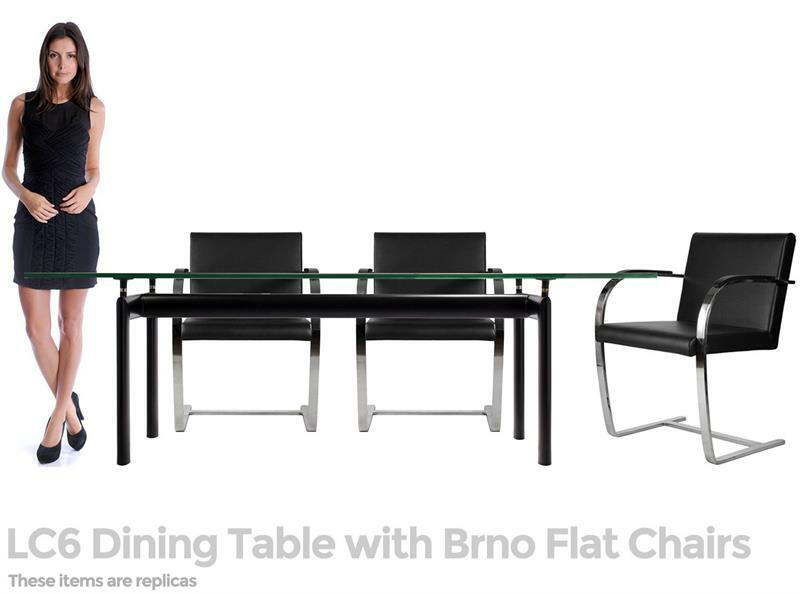 Among the pieces was Le Corbusier LC6 Table (1928), a mathematically refined structure of steel and glass that has become one of the most important International Style tables of the 20th-century. 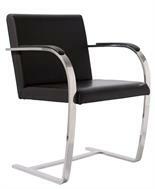 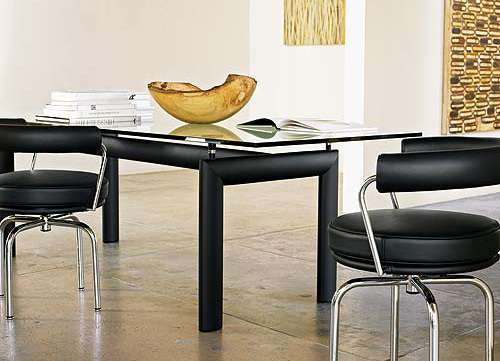 Our version of the Le Corbusier LC6 table is made with a black thick elliptical tube black steel frame. The base is welded for a seamless finish, adjustable screw rubber mounts, and plastic floor glides. 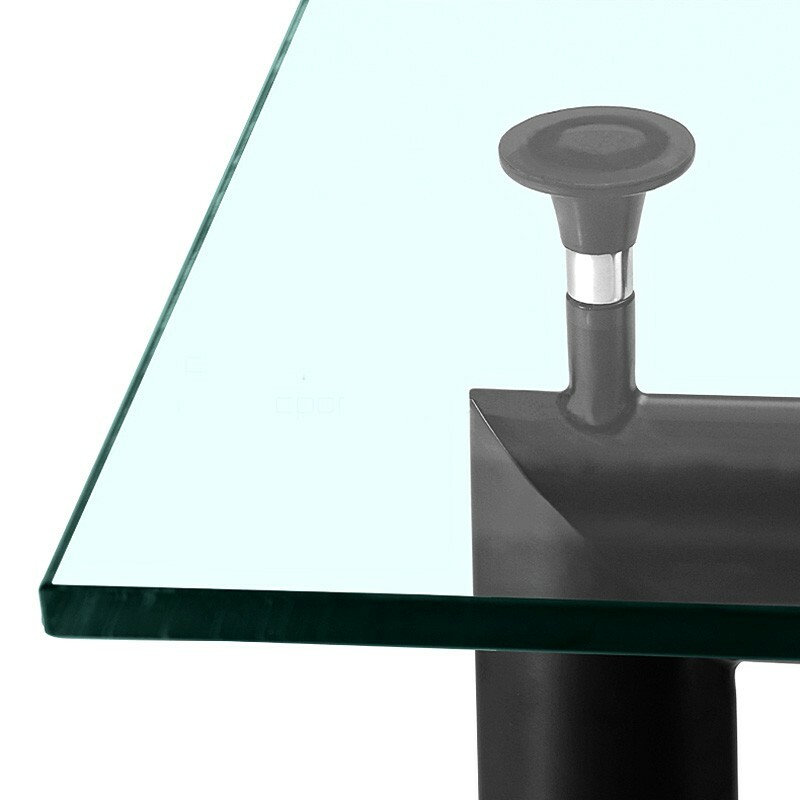 The top of the LC6 table is 1/2"(15mm) or 3/4" (19mm) thick tempered glass, making this beautiful table equally at home as a dining table, and in the conference room.